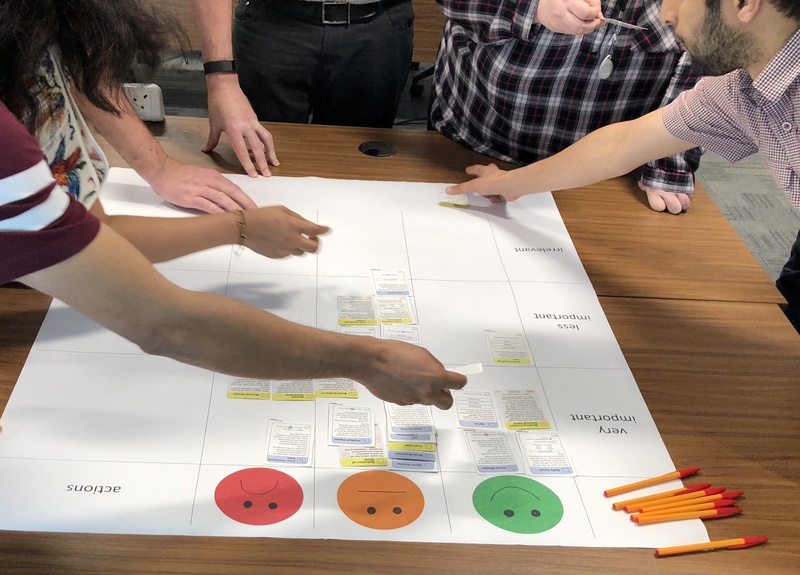 This Scrum team got hold of the Scrum Essentials cards, printed their own deck, made their own board and played the Practice Patience game for themselves. They’ve been a Scrum team for over 6 months and so are used to holding the more traditional open ‘brainstorming’ style of retrospectives. 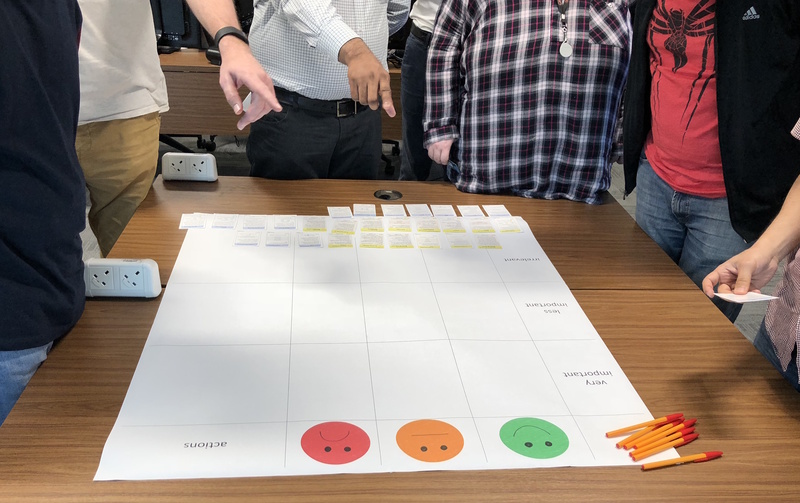 Here’s their experience with the cards guiding them to improve their application of Scrum, including some quotes from their Scrum Master. They found the best way to facilitate this was not to go through and debate each card, but for the team to silently read and place, then spend time seeing if there’s anything they disagree with and discuss those. At first, they were reluctant to use the column they chose to label “Bad”, but soon agreed that these columns are all relative and it was healthy to focus on the areas that they were ‘least good’ at, especially as it was these areas where they could improve the most. They found this game with the cards was a great away for getting people involved, drove the right conversations and lead nicely to targeted improvement actions.